The changing colour of the fall leaves has also brought about a change in tone with Ottawa’s political decision makers. As the October 2015 fixed election date quickly approaches, Members of Parliament are ditching the comfort zone offered by a majority government for a more partisan approach to their daily interactions. While the election environment can be a frustrating one, it also presents a unique opportunity for stakeholders to engage with decision-makers and have your voice heard. Providing the fixed election date holds, voters will be heading to the polls in just under a year. For politicians, there’s lots to be done in that time; candidates must be nominated, platforms must be developed, and outreach to voters all accompany the day to day running of the country. The Conservatives, New Democrats and Liberals are actively looking for ideas that will set them apart from one another in the next election. This active idea-searching and coalition building means that your value as a stakeholder is at an all-time high. While there is no “right time” to engage politicians (ideally, this is an ongoing relationship building process), it is important to be mindful of the political and fiscal situation Canada is in. Members of Parliament are eager to please stakeholders and constituents, and we have a budgetary surplus which lends itself to some targeted spending that has been absent in recent years. It is certainly not too late to make an impact in Ottawa prior to election. 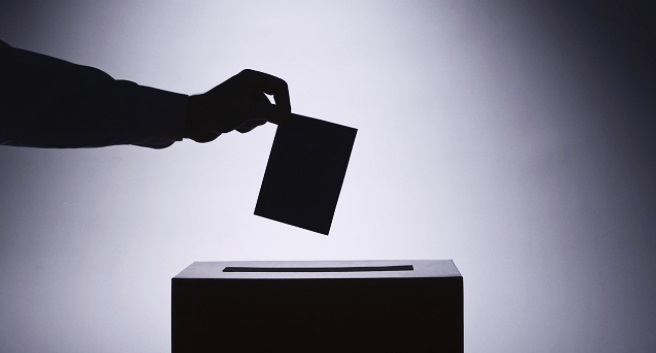 So, what is the role for small businesses and associations ahead of the election? Looking at the three major political parties, all have vowed to address challenges facing Canada’s “middle class”. All parties have also committed to address consumer issues, but with varying ideas on how this should be done. As small businesses and organizations, presenting your value proposition within the middle class or consumer friendly narrative would be extremely attractive to any politician, regardless of political stripe. Whether it be through viral online campaigns, grassroots engagement, parliamentarian meetings or through official budget asks, being present is half the battle in moving your idea or initiative forward. Platform development is just one way in which stakeholders have an opportunity to bring forward their issues, and present them as vote-winners for any of the three parties. Politicians are well trained to identify good opportunities that fits within their parties’ narrative. Stakeholders will need to hone their message to ensure key points reach their intended audience and capture their attention. There’s an old expression that “all politics is local”. You will notice that Members of Parliament are spending a lot more time at home in their ridings to meet voters than in the halls of Parliament. Businesses should capitalize on this local mentality to emphasize your own impact on the economy in your community or contributions you’ve made to give back to your community. Many incumbent MPs will host roundtable opportunities to seek input from local business during platform development – keep an eye out for these opportunities and consider participating yourself. Chamber members should not fret ahead of the election, but view this as an opportunity to advocate to all Members of Parliament. Keep engaging local politicians and candidates, continue to drive the economy through your business and you as a local stakeholder will help to shape Canada’s political future. Kate Harrison and Lindsay Doyle, are Consultants at Summa Strategies. Summa is a boutique government relations, public affairs and strategic communications firm based in Ottawa. ‹ The Loonie’s Decline: Here to Stay?